How many NY Rangers will Alain Vigneault make more than next season? 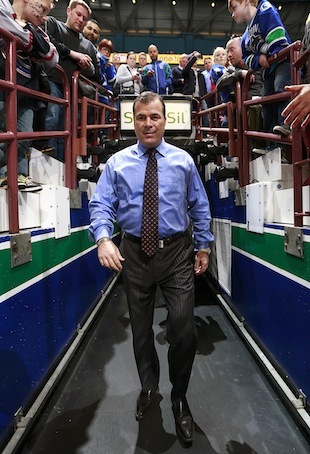 Alain Vigneault will be the next coach of the New York Rangers. For how long? Louis Jean of TVA reports the contract runs five years, so at least five years or until he’s fired. For how much? Jean reports the contract will be “in the $2 million per year range,” which is a raise from his $1.8 million annual salary with the Vancouver Canucks. It’s often said that respect in professional sports between coaches and players started decreasing once the latter began making more money than the former. In some cases, the coach earns more – see Belichick, Bill. But that’s a rarity. Let’s go with the working theory that AV’s contract has an AAV of $2 million. How many New York Rangers will make less than their coach? With that, we’ll ask one of our podcasting buddy Jeff Marek’s favorite questions: Should there be a salary cap hit for coaches?